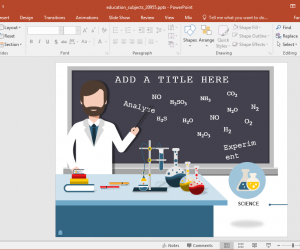 Presentations depicting timelines and milestones often require the need to switch between multiple slides representing information about different parts of the project schedule. 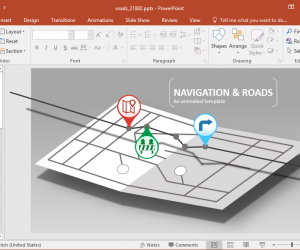 Likewise, presentations based on a yearly calendar can be quite conveniently presented if one can go back and forth slides without having to rush through them. 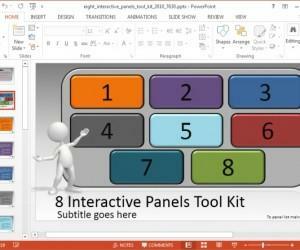 This is why an interactive PowerPoint template can do wonders for a presenter. 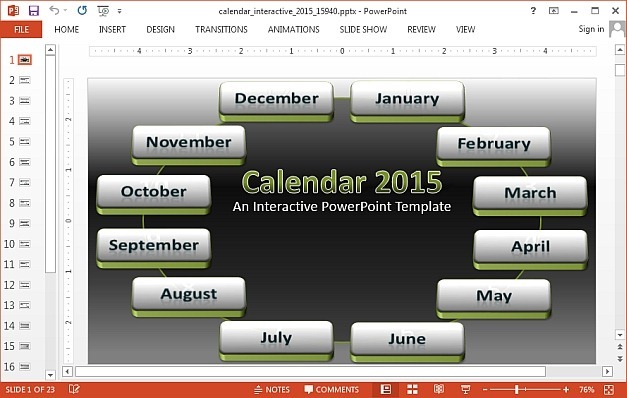 Interactive 2015 Calendar Template for PowerPoint provides exactly what its name suggests, i.e. 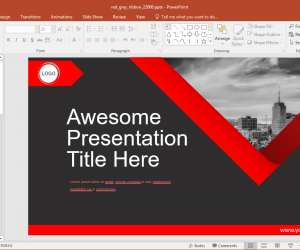 a presentation template with interconnected, interactive slides, which make it easy to switch between different months in a single click. 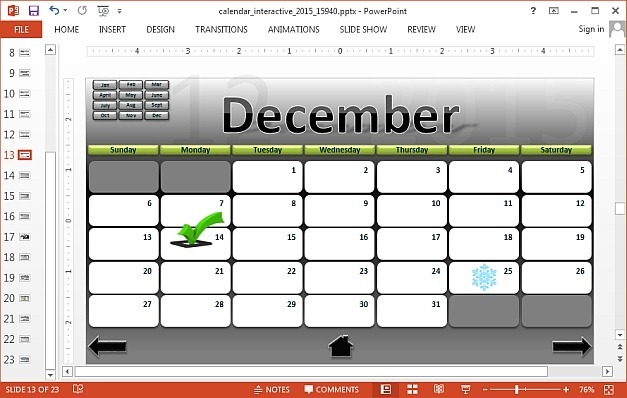 Switching between slides is easy because each slide comes with a small menu containing months of the year. 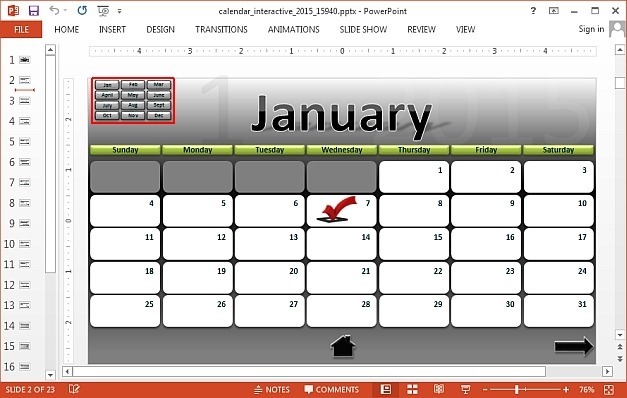 So for example, if you are on the January slide, you can use the menu on the top left corner to click a month to switch to it. Various important dates come marked with relevant icons on the calendar. 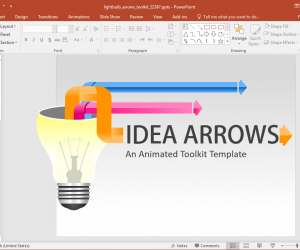 These icons are movable and you can easily place them elsewhere or replicate them as per need. 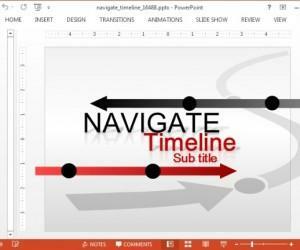 For example, the ‘Tick’ icon can be used for marking important milestone completions when making a project timeline using this template. 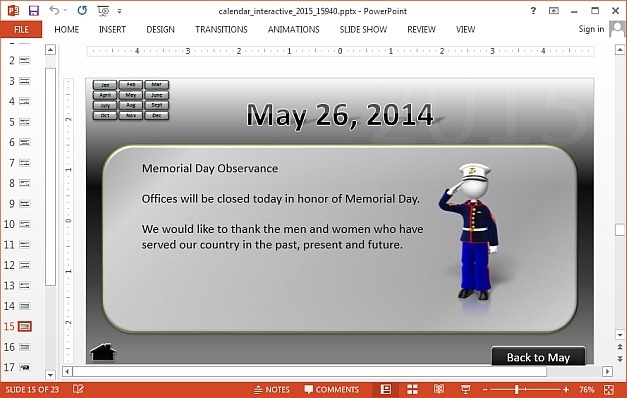 Some of the sample slides also represent important events like Memorial Day. You can change these slides to reflect these important events or customize them to depict another major event. These sample slides are separate from the 12 slides representing different months of the 2015 Gregorian calendar.